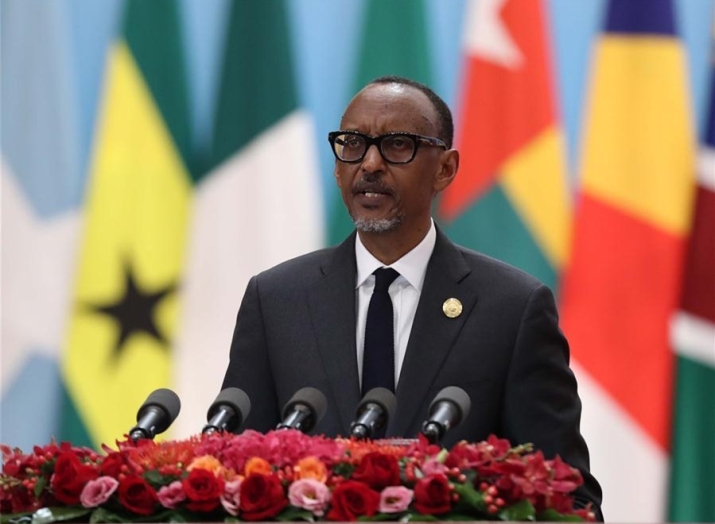 BEIJING, Sept. 3 (Xinhua) -- Rwandan President Paul Kagame, who is also rotating chair of the African Union (AU), said here Monday that China's engagement in Africa has been "deeply transformational both internally and with respect to Africa's global position." In his speech at the opening ceremony of the 2018 Beijing Summit of the Forum on China-Africa Cooperation (FOCAC), Kagame said China sees a stronger Africa as an opportunity rather than a problem. FOCAC, established 18 years ago on the basis of equality, respect and a commitment to mutual "well-being," has grown into a powerful engine of cooperation fully aligned with Africa's Agenda 2063 and sustainable development goals, he said. "An expanded cooperation framework presented by President Xi (Jinping of China) fully reflects our common understanding of the future of our community," he said. The AU chair said Africa and China will intensify their collaboration in various industries, the ICTs (information and communication technologies), infrastructure and trade. "We will also open new pathways on environmental protection and scale up people-to-people exchanges," he said. He called on the countries of Africa to "increase our sense of ownership of joint programs" by improving project management and increasing participation by the African private sector. Kagame also rejected misinterpretations of China-Africa ties, saying that "Africa is not a zero-sum game and our growing ties with China do not come at anyone's expense. Indeed the gains are enjoyed by everyone who does business on our continent." In his speech, the Rwandan leader also mentioned Xi's four visits to Africa as president, reaching every major region of the continent as well as countries of different sizes and economic profiles. "This commitment speaks to the vigor and reliability of our relationship," Kagame said. "China has proven to be a win-win partner and sincere friend."